Forget for a moment that Facebook is still at the pedestal of the biggest initial public offering when it went public in 2012, raising $16 billion. Chinese e-commerce giant Alibaba is likely to surpass that soon as it finalizes moves to file for an IPO on New York Stock Exchange this week. Its potential valuation: a whopping $170 billion as projected by some analysts. It has already become a convention that Alibaba is inevitably compared to Amazon, eBay, PayPal and Google combined. It operates the Taobao and Tmall e-commerce portals, which claims more than a hundred million unique visits on a daily basis. Nearly 80 percent of China’s spending goes through Alibaba’s shopping sites. In 2013 alone, Alibaba’s marketplaces recorded $5.7 billion in spending. The company lets users find the items sold by merchants on various online stores, unlike Amazon’s business model of selling directly to customers. In other words, it does not generate revenue from online selling but from advertising. It also operates a wholesale business, a cloud computing firm and digital payment site Alipay, while it is entering the investment fund sector. Jack Ma, a visionary, founded Alibaba in 1999 at his apartment in Hangzhou, China, with an investment of $60,000 thanks to the contribution of his friends. Ma is the current executive chairman of the e-commerce titan, though he recently relinquished the role of chief executive officer. Alibaba afterwards grew to become a leader in China’s e-commerce sector, where business is lucrative in an emerging market. This makes the company’s forthcoming IPO all the more anticipated because it will be the largest public offering since Facebook’s much celebrated filing of recent memory. It led major Internet companies based in the United States to buy a stake from the company, most notably Yahoo which holds a 24 percent stock in Alibaba. The company’s sales in the fourth quarter of 2013 increased 66 percent year over year and earnings rose to $1.4 billion, up 110 percent from the previous period, and topping those of its rival giants. Ma and his company has only one goal at the moment: to continue to grow and keep its position in a thriving market. And the fact that it chose New York to file its public offering instead of its very own Hong Kong is a testament to Alibaba’s plan for expansion. But the decisions is also economically and politically swayed, as its existing partners cannot appoint its own board members if it filed for an IPO in that country. 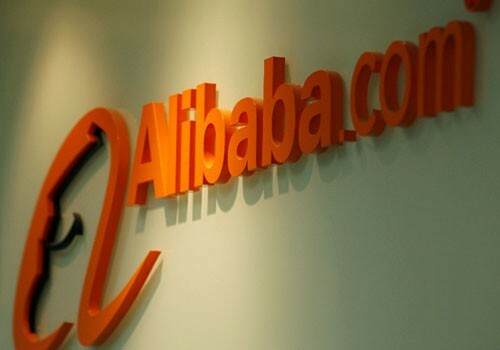 Its really great news shared, Though I’m shopping enthusiast but never tried alibaba.